Kata'ib Assad Allah al-Ghalib (Conquering Lion of God Battalions) is a Shi'a militia operating in Iraq. 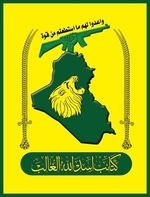 Despite one of its logos and name being similar to Liwa Assad Allah al-Ghalib that fights both in Iraq and Syria, it is not part of Liwa Assad Allah al-Ghalib: indeed, the secretary general for Liwa Assad Allah al-Ghalib says Kata'ib Assad Allah al-Ghalib has engaged in illegitimate appropriation of name and branding. 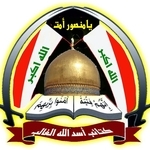 Kata'ib Assad Allah al-Ghalib is led by Abu al-Ghayth al-Hassani. Ideologically, Kata'ib Assad Allah al-Ghalib identifies with Iran and has claimed operations primarily in the vicinity of Baghdad. Evidence also suggests some links with the Martyr Sadr Forces Formations.